Rupert Pupkin Speaks: Favorite Underrated Comedies - Stephen Drangula ""
Stephen Drangula, whenever he bothers to pull himself away from a black-and-white movie, makes jokes on Twitter as @Drangula. 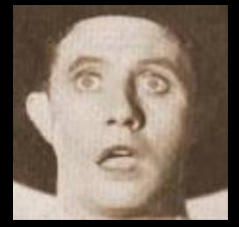 Gussle's Day of Rest (1915) Few remember that Charlie Chaplin's brother, Syd Chaplin, also made Keystone comedies and even fewer hold them in any regard; but Syd's character, the obnoxious Reggie Gussle, makes me laugh, especially in this tale of infidelity in the park with its hilariously cynical ending. 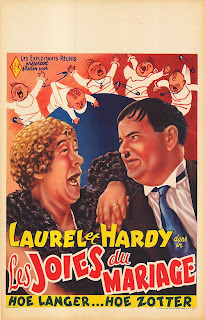 Twice Two (1933) Even Laurel and Hardy fans dismiss this short, in which the pair play their usual characters as well as the wives of each other, through trick photography. I find everything from the idea itself to the voices of the actresses dubbing over their female characters, to be hilarious. 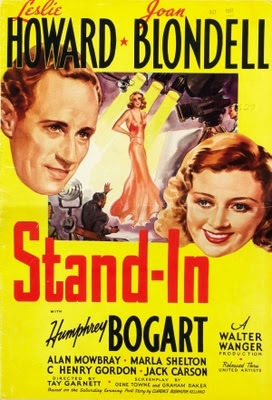 Stand-In (1937) Not much mystery why this screwball romantic comedy, starring Leslie Howard as a prissy financial analyst and Joan Blondell as a former child star reduced to bit parts in movies, is largely forgotten: the last third descends into an unfunny sub-Capra tribute to the working class. 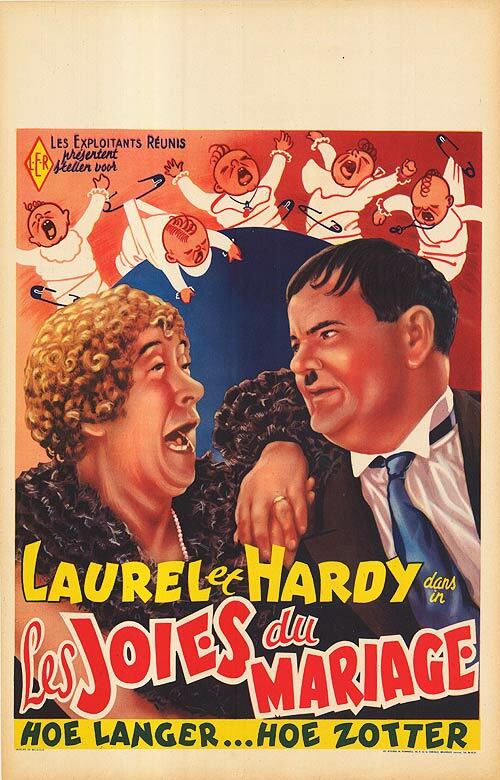 But the first two-thirds is rich in great gags and hilarious characters. 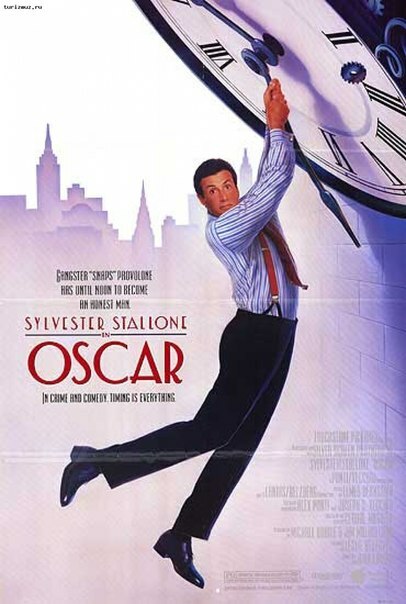 Oscar (1991) John Landis directed Sylvester Stallone in a rare comedy role as a mobster trying to go straight in this adaptation of a French farce now set in Depression-era New York City. The Golden Raspberry Awards thought it was awful enough to dishonor with nominations, but I laughed all the way through. 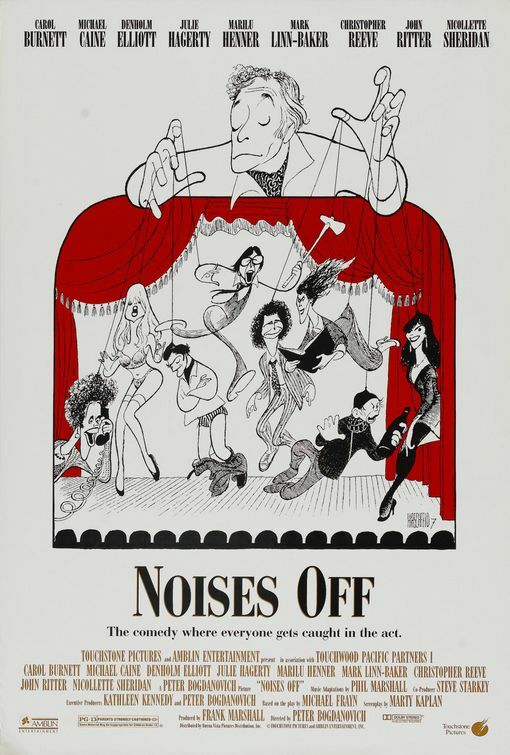 Noises Off (1992) Michael Frayn's oft-revived 1982 stage farce became this screamingly funny—but under-appreciated—movie directed by Peter Bogdanovich and starring a slew of familiar faces, including Michael Caine, Carol Burnett, Denholm Elliott, John Ritter, Christopher Reeve, Marilu Henner and Mark-Linn Baker.